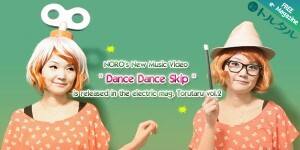 Check the new music video”Dance Dance Skip” in NORO’s colum”the Room1058″ of the electric Magazine Torutaru vol.2. 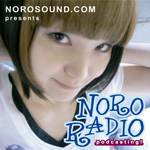 NORO made a song “Dance Dance Skip” with her iPad as the main machine.you can watch the music video and read how she made it in this issue(in Japanese).Download Torutaru vol.2. it’s free now! Torutaru is ePUB3 formatted. you need to install a ePUB reader apprication for your PC, Mac, or smartphone to read Torutaru. iPhone/iPad(iBooks), Android(StarBooks, Moon+Reader), Windows,Mac(Readium&Chrome, EPUBReader&FireFox), Mac(Murasaki) will be good for reading.